Wearing Style - over-the-ear, over-the-head or behind-the-neck. Keep your customers on the line, even when you’re on the move in your office. Answer and end calls right from your headset—up to 500 feet from the base. 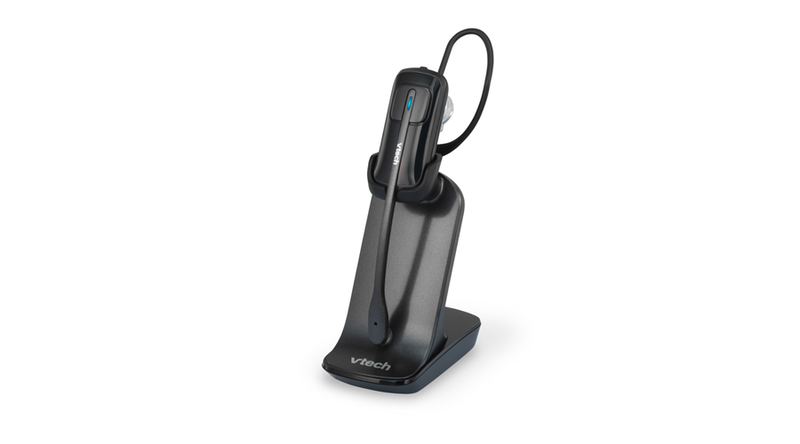 Mute, flash and volume controls make it easy to multi-task, while DECT 6.0 technology and a noise canceling microphone deliver interference-free conversations. Plus, a magnetic charger in the cradle ensures the headset fits and charges securely, so you’ll never run out of battery during long calls.